The Duck Shed slow roast free-range English ducks for 6 hours, the meat is then pulled and mixed with all the cooking liquor so it’s super moist and delicious. 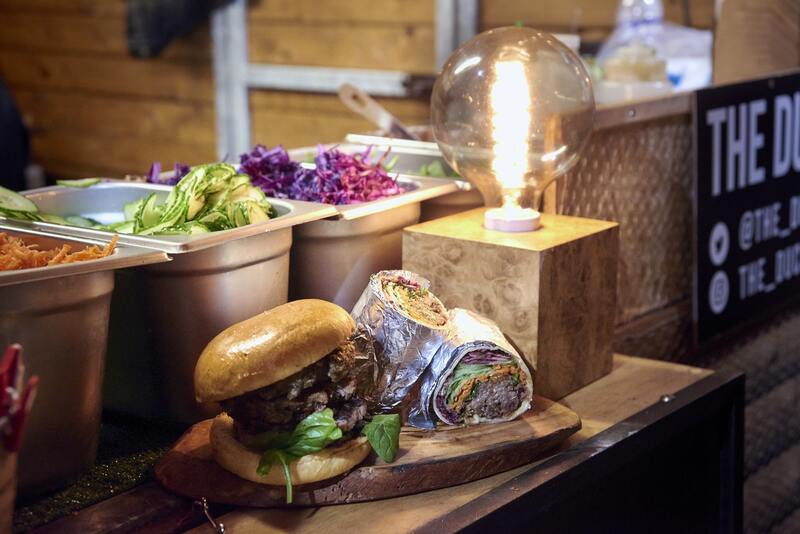 They serve the meat in either a brioche bun, a wrap or a salad box, and there are two delicious flavours to choose from: The British and The Vietnamese - both are incredible! 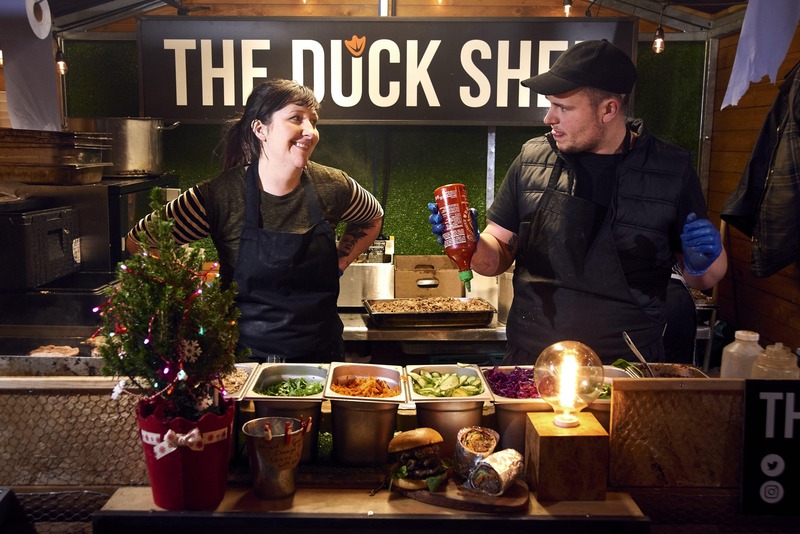 Both founders have got over 20 years of high-end Michelin star kitchen experience, Claire was former head chef of Ottolenghi and Nopi and Steve was sous chef at The Square, La Trompette and The Castle. 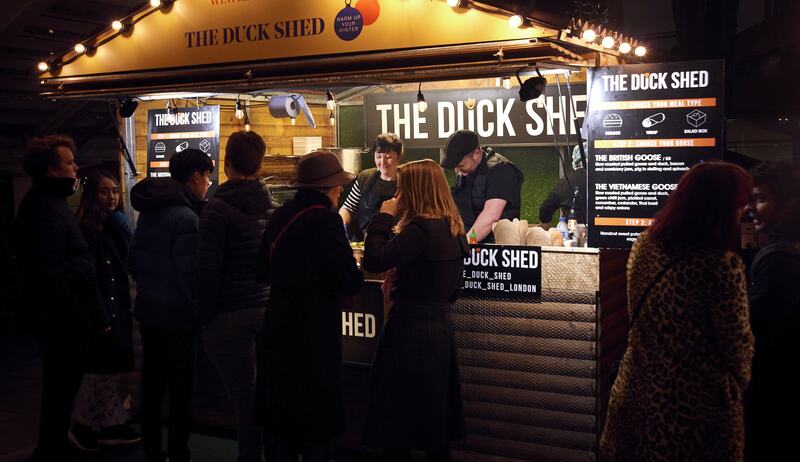 The Duck Shed was founded in January 2017 and is going seriously well so far - they have done a number of large events last year including the Evening Standard Night Market in Hyde Park, the South Bank 7 week Winter Festival, Wilderness, Festival number 6, and Port Elliot, along with weekly London markets. See if they are available and book them in minutes!